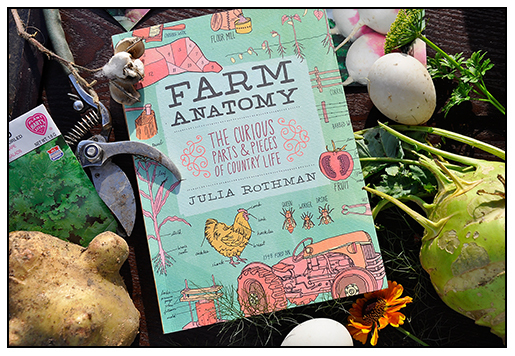 It's here, and I am very excited to be helping to kick off the FARM ANATOMY Blog Tour for Julia Rothman's new book. 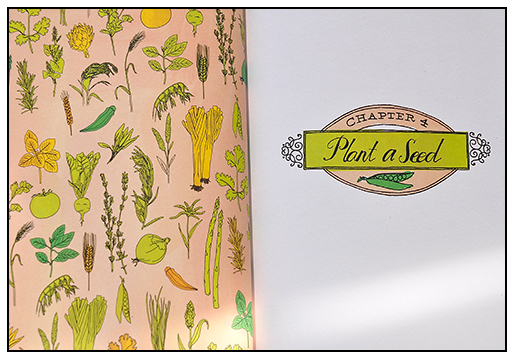 As a both a designer and a gardener, I am thrilled to introduce all of you to FARM ANATOMY, a book written, illustrated and designed by Julia Rothman. If you are curious about such things as "how much wood is there in a cord?" or How many eggs will an average Indian Runner Duck lay in one year compared to a chicken?" then this book might just be what your library is missing. Hey, I've always wondered what farmers used for reference tilling a field to create a crop pattern, or what direction to drive the combine when harvesting corn or soybeans - now I know! And, I now know the parts of a rabbit, how to butcher a goat, what parts are on a chainsaw, and what animal drinks the most water on a farm. 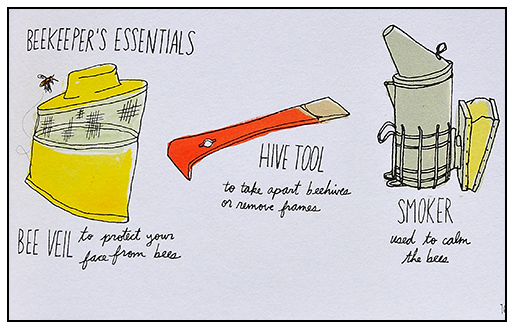 This book is part science, part art, part handbook and part gift book. 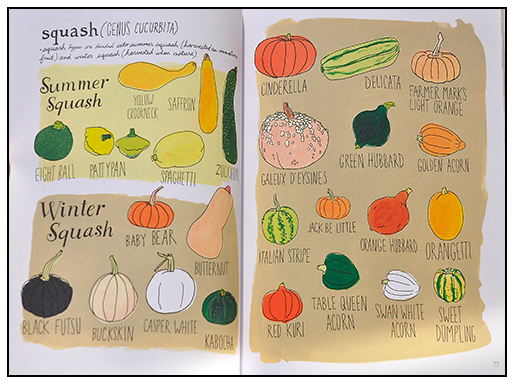 It's as if you had a class from the Rhode Island School of Design come to live on your family farm for a year, and then after they left, you found a sketchbook that one of the brilliant students filled completely. Well, I guess that IS this book. It's fun, attractive and has some helpful information and recipes. I am so excited about this book, for a few reasons. First, Julia is a friend of mine, and someone who has recently been getting some noteworthy design projects, many of which you most likely have seen before ( Urban Outfitters, Anthropologie, The Land of Nod, Garnet Hill and also in the New York Times, the Washington Post and Food & Wine, to name a few) - she is practically famous! I am so proud of her. Go Julia! To celebrate the publishing of her newest book FARM ANATOMY I am able to share a free advance copy as prize to one of you, my readers, courtesy Julia's publisher, Storey Publishing. Just leave a comment on this post, and I will choose a winner Saturday night at 9:00 EST using randomizer. Good luck!! Julia's book celebrates the every-day-ness of life on a small, family farm, a life that she discovered unexpectedly when her new husband Matt brought her back to his roots - a small family farm in Iowa, shortly after they were marries. Every page tells the story of this discovery, from the first moment that the New York City raised girl arrives on the snow blanketed farm with goats and cats greeting her, right down to the family tales that were shared by Matt's family - my favorite was the one about how he had raised two turkeys, one named Thanksgiving, the other, Christmas. How he must miss this life now that he works in a suit on Wall Street, but at the very least, his childhood has been preserved in this lovely heirloom of a book that takes the tools of a working life into objectified art, not unlike how Julia Child's kitchen was "classified' and cataloged when it was relocated from her home, to the Smithsonian. But this book is much more than about simply classifying things - Julia uses the vernacular of every day farm life as her muse, it becomes at once a palette, a subject, a medium, and rather than simply documenting it all with labels which could risk any spread becoming more of a flea market table than a work of art, she stitches in a silent thread of a story, transforming each doodle and sketch with an infusion of depth and authenticity - you can smell the cinnamon and old shortening in the kitchen- the fresh hay and dried corn in the barn. It all becomes this dual narrative of then and now - both personal and practical at the same time. Julia captures it all, perfectly in a new way for a new generation. 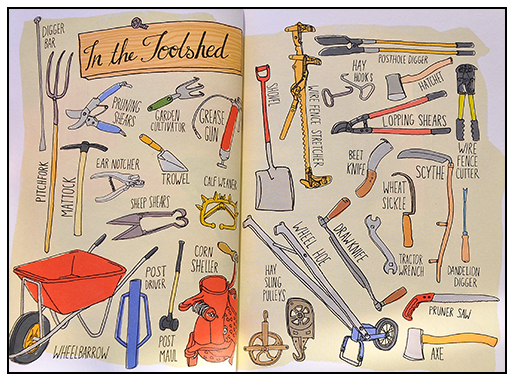 Many of us who raise chickens or keep goats or bees all have these same tools, but we hide them, kept in buckets and in dusty bins in the barn, but once revisited, they illustrate a story that will so quickly fade in time, if we never take the time to document it - this book does exactly that. For many of us who came from these generations of home canner's and preservers, of victory gardens and Future Farmers of America, those of us who practiced animal husbandry in 4H, grew giant pumpkins for the Grange fair or who picked apples or squash not for decorations, but for sustenance, pies, sauce and for the pigs after that - will find this book not as much a tool for guidance, but instead, a nostalgic, friendly journey; illustrated with an artistic sensitivity and a fresh eye from a new generation. It will make you smile. My journey through this book was very personal - I could relate to most of the subjects that Julia illustrated, it was as if she rambled through my family home of three generations and made it all look pretty, but your journey will be different which makes this book so amazingly personal to each of us with memories or dreams. I am transported back to my childhood kitchen ( um...where I live today), I can take any old drawer in our kitchen where my mom kept all of the pie making tools for example, and dump it out onto a table. Instantly- If I could only Julia-ize the pile (meaning, sketch organize and label each tiny tool and color it in a attractive way). Julia doesn't just illustrates these objects, she carefully curates each collection in her illustrations which makes the fun and narrative. She creates consciously, selecting this, editing that, until she arrives at a composition that not only pleases her, but one which provides a practical solution, a demonstrative display which is both useful and pretty. In many ways, Julia wears a lot hats- that of documentation, visual autobiographer, illustrator and curater - her sensibility surely in influenced by her New Your City peers who are classifiers in their own way, for I personally know many from her graduating class from RISD, and they indeed are some of the most successful museum curators, archivists, illustrators and designers working today, but Julia voice has matured into a unique one - a nuanced color palette, a lithe hand, a clear mind - she has found her own unique path, a distinctive visual style in a world which demands more ( sometimes too much) from any object. 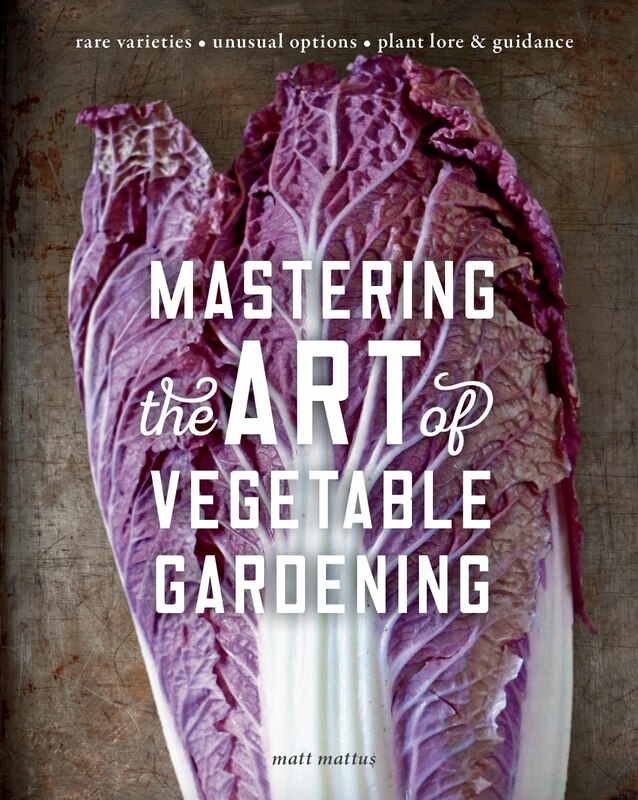 Although this is a visual journey more than it is a deep guide or handbook for home farming, ( there are plenty of other books from STOREY that provide those guidelines), this book is more of an indulgent treat - meant to be consumed on a picnic blanket with a hot cup of cider on a cold day, or under a quilt as the snow pellets click against the glass. It's a fun flip that will take you from sweet hand drawn Rothamanesque Eggplants, to a watercolor painting of a deconstructed Chainsaw. Exquisitely simple. Leave a comment on this post by Saturday, Oct. 22, and you could win a signed copy of the just released book! 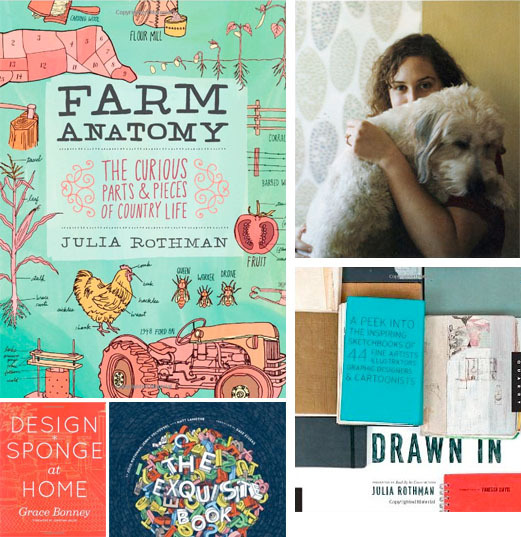 Julia Rothman's illustrations have been featured in numerous books and in the New York Times, Washington Post, the Atlantic, Food & Wine, New York, and ReadyMade. Her pattern designs appear on products for Urban Outfitters, Land of Nod, Garnet Hill, and Victoria's Secret. Rothman runs the blog Book By It's Cover and is part of a design company called ALSO. 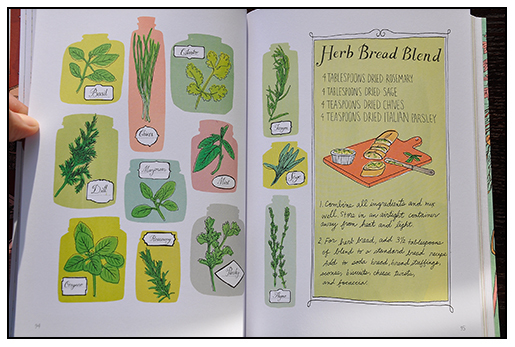 She is the illustrator of Design*Sponge At Home, The author of Drawn In, and a coauthor of The Exquisite Book. She has a line of letterpress stationery, wallpaper, and fabric, as well as a new line of stationery products for Chronicle Books. She lives in Brooklyn, New York. 224 pages; 6.5 x 9 in. 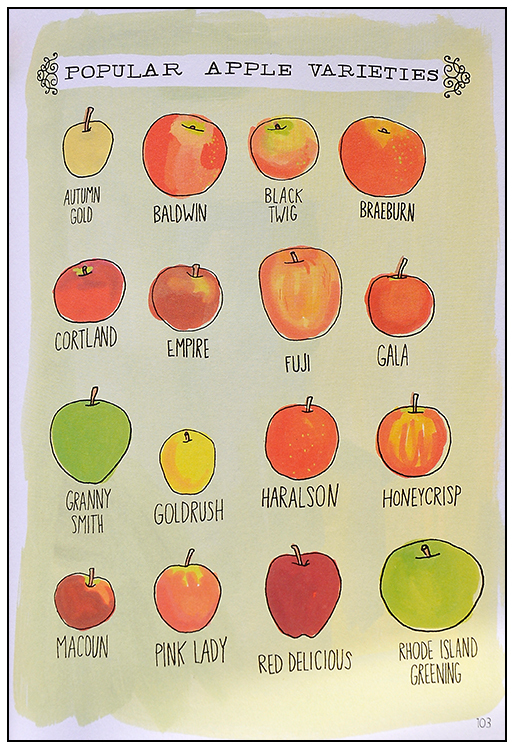 Julia Rothman's illustrations have been featured in numerous books, newspapers, and magazines. 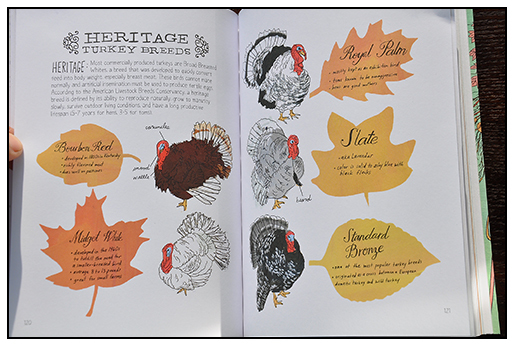 Here she combines hard-core information with smart design and illustration in a book sure to appeal to country and city mice alike. From barn doors to haystacks, goat breeds to corn varieties, horse harnesses to cheese presses, FARM ANATOMY puts country life under the magnifying glass, revealing fascinating facts, fun farm specific vocabulary, and an amazing variety of activities, tools, animals, plants, and objects. 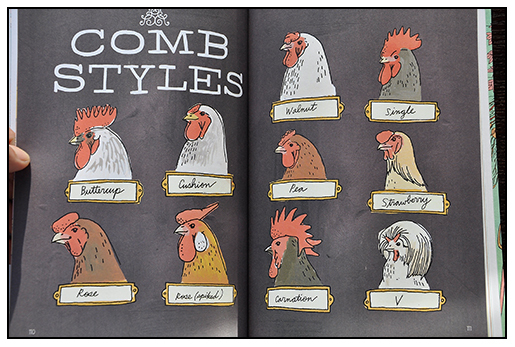 A colorful and lively visual tour of the parts of a farm and of the animals and activities found there, FARM ANATOMY dissects everything from cows, pigs and roosters, to the farmer's breakfast, crop rotation patterns, tractors and tools, and much more. The combination of quirky drawings and intriguing information makes browsing irresistible for people of all ages and interests. It really is amazing how many eggs one hen can lay, and it is equally amazing how much more there is to discover in the incredible book. Leave a comment now, to win a signed copy of Julia's book. Thank you for all the wonderful pictures of this book! You hint a lot about the nostalgia this book evokes. For us, it is about falling in love for the first time. Neither of us grew up around farms, but now that we've moved to rural Iowa, we're finding so much to love! Oh, wow! What a lovely blog! And the book! If you don't give this to me, Matt, I suppose I will have to buy the darn thing! (Or get our library to). I love the look of this book. Would love to see it for real. 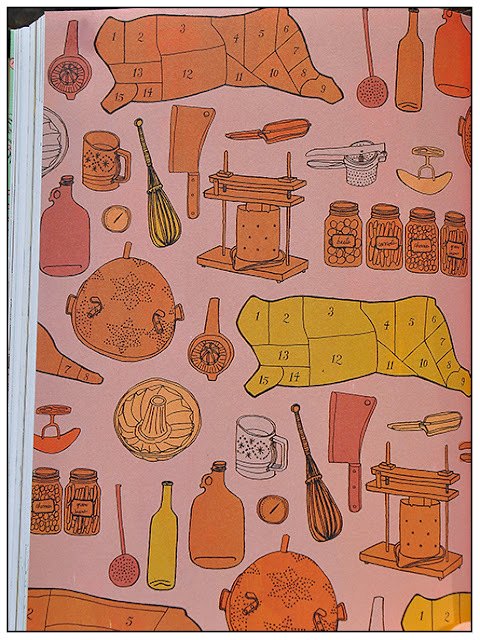 Julia Rothman is amazing and this book looks delightful, I want to grab it from the images you have posted and hug it. It looks like such a great book! My sister is starting a little farm (a creamery) in the near future. This would be the perfect gift for her. What an interesting book! 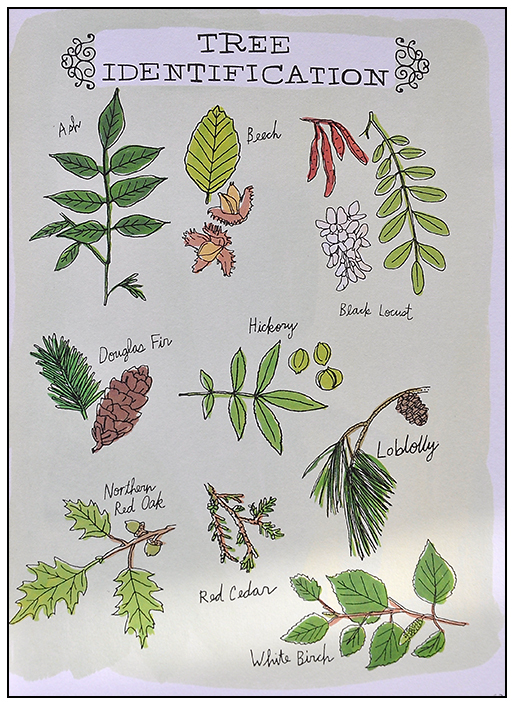 It has lovely illustrations as well as informatin. Thanks for introducing this book! This looks charming. I'm curious to see what relics from my past have been memorialized. Also provides another barb of guilt in my mind for not going to RISD. Of course, I say this presuming I could have even gotten in. Thanks for sharing this book with us Matt. I'd love to have a signed copy as part of my home library. That looks awesome! If I don't snag one here, I'll certainly buy a copy - my partner will love it! Would love to win this book. It is so beautiful! That is the most generous, loving book review I've ever read. She's lucky to have you for a friend. 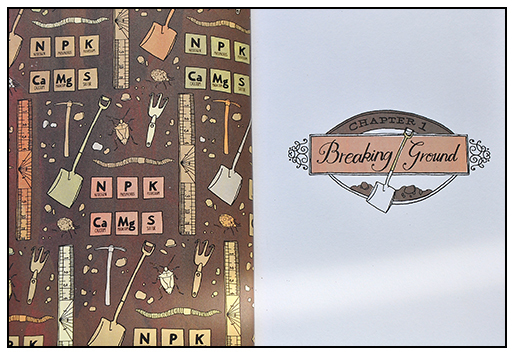 I am familiar with her work and think that she has outdone herself on these beautiful pages. 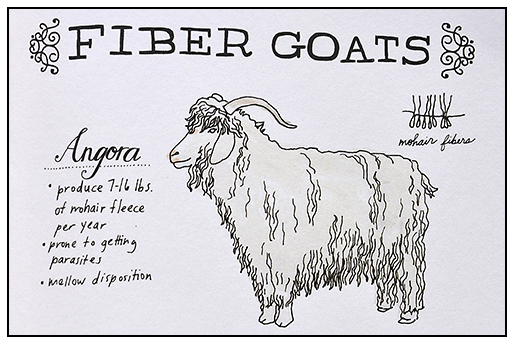 Even if I am randomly selected, I will buy at least two of these for friends for Christmas. lovely book, can't wait to see it in the flesh one way or another.. Cool book. I wish I could draw like that! I saw this book before you posted about it. And know that I have read your review, I really am going to have to check it out! Your blog rocks! For us former farm kids, doing chores and going to school, meant that you really did not ever take the time to take it all in. Here are memories I never realized I treasured! I saw this book on her site and looked it over on Amazon's site just last night. And now here you are reviewing it. Loved seeing more pages! Thanks! I'm in love with this book! Please pick me! 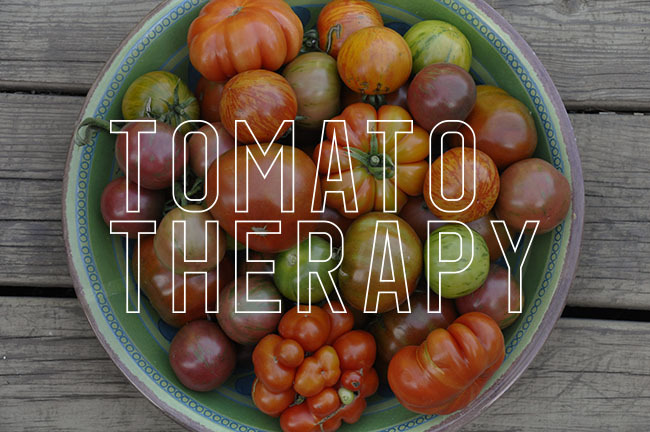 I adore your blog and am always learning something new from what you have to say. It's nice to hear from someone close to home (I am in north central MA). What a beautiful book, I have a mild obsession with farming and my best friend runs her family Dairy in central MA would love this book as well! Thanks Matt for all that you share with us. I’m an all big city girl (Los Angeles), so the country style living depicted in this book is utterly fascinating to me. I will definitely have to get a copy because I know that I will have a whole lot to learn from it while also enjoying the lovely illustrations and interesting write ups. Thanks for posting about it and doing such a fine job reviewing it. I fell in love with this book the minute I saw it. My 1yr old son Jasper needs this in his life! What a lovely book. I love the idea of using illustrations to explain country living. I could use it since I've lived in cities all my life! How lovely!! I am moving from the city to the country in just over a month so this would be the perfect addition to our library. Thanks for running this giveaway! Wow! What a beautiful book.